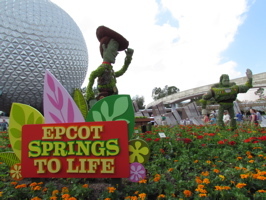 Today was the first day of the 2011 Epcot Flower and Garden Festival! For the first time ever, Pixar is now part of the Festival (below, left). 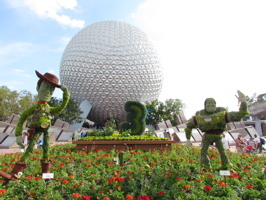 Woody and Buzz are at the main entrance (below, right) and should be joined soon by Lotso Huggin’ Bear.